Surfing Heritage & Culture Center: Remember 45s? Jens Jensen has donated a stack of 45s to add to our growing record collection. 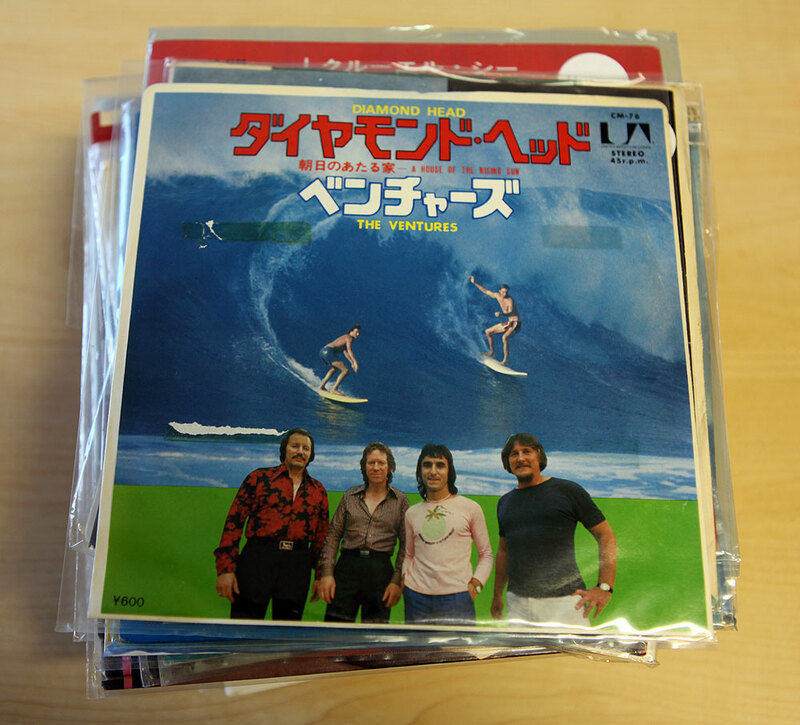 WIth over 50 records and sleeves, there are singles by well-known groups like The Beach Boys, and The Ventures, as well as Japanese imports and other rarities.